Spencer follows up the superb "Spark Plug" and "Trouble" with another heads down tech trance bomb. Stabs, fills, rolls and tech trance darkness are the order of the day here as Spencer goes to work on your senses with his sonic armory and a few hammers!! 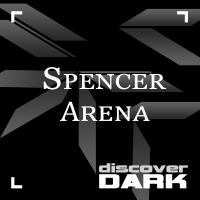 An excellent return for Spencer as Discover Dark continues its full on start to 2011. 'Arena' is available now from Beatport and iTunes.